With the weather currently throwing everything it has at you (wind, chill, rain, snow), there’s no better time to stock up on pieces ready to handle it all. You’re still heading to work, running errands, going out to dinner—whatever your reasons for braving the elements, we’ll help you make it through the day dressed for every occasion. 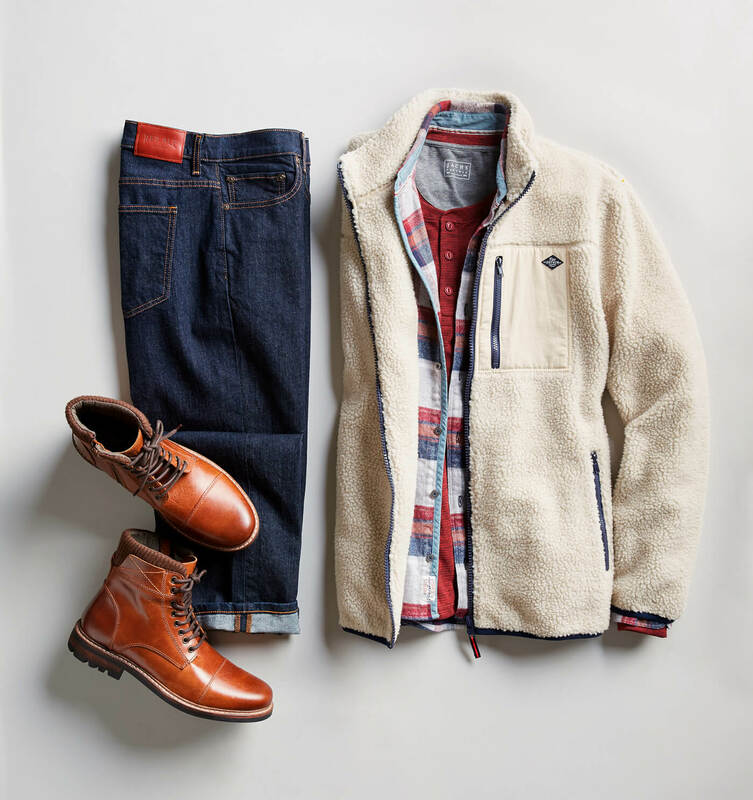 Check out these four fail-safe outfit ideas that prove you can protect yourself from the bite of winter and look good doing it. When the wind is on a rampage, that’s your cue to take your basics up a notch. Pair a chunky sweater in an unexpected color with a slick bomber jacket to amp up the warmth and your style cred. 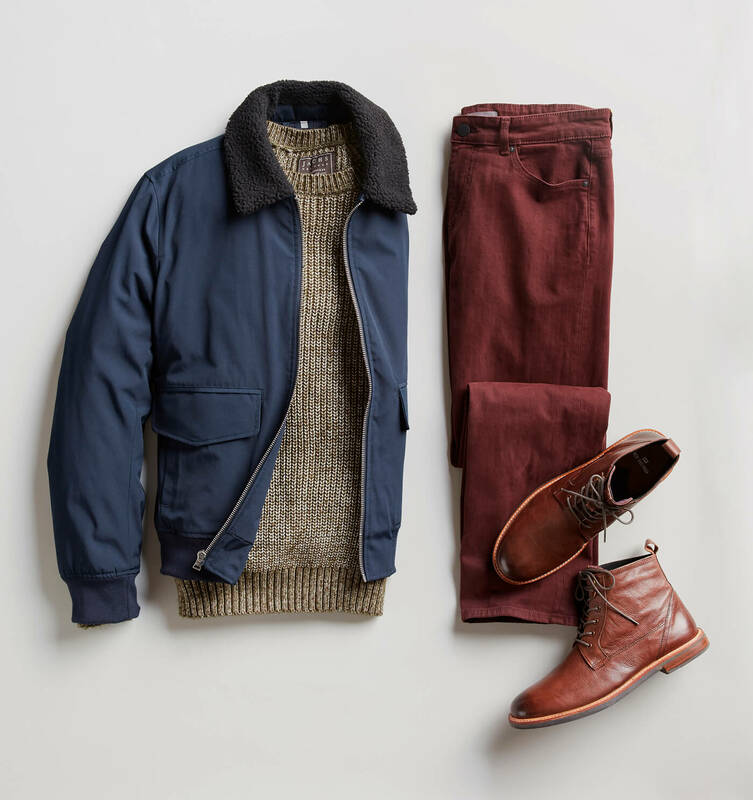 Choose a bold, complementary shade in a pair of five-pocket pants and throw on some lace-up boots to keep your ankles warm. You’ll brave the cold while nonchalantly flexing those sartorial instincts. The outdoorsy aesthetic works well in colder temperatures since it’s inspired by the military and built around enduring extreme climates. Start with a fleece zip up, but don’t let the fuzzy softness fool you—it will trap in heat. If it’s extra frigid, double-up on trusty layers underneath and remember, a thermal henley will look great on its own if you go indoors and need to shed a few pieces. Dark jeans and lugged-sole boots balance out the lumberjack vibe. With no signs of sporty-meets-tailored style slowing down, build your arsenal of functional, good-looking pieces that embody comfort. 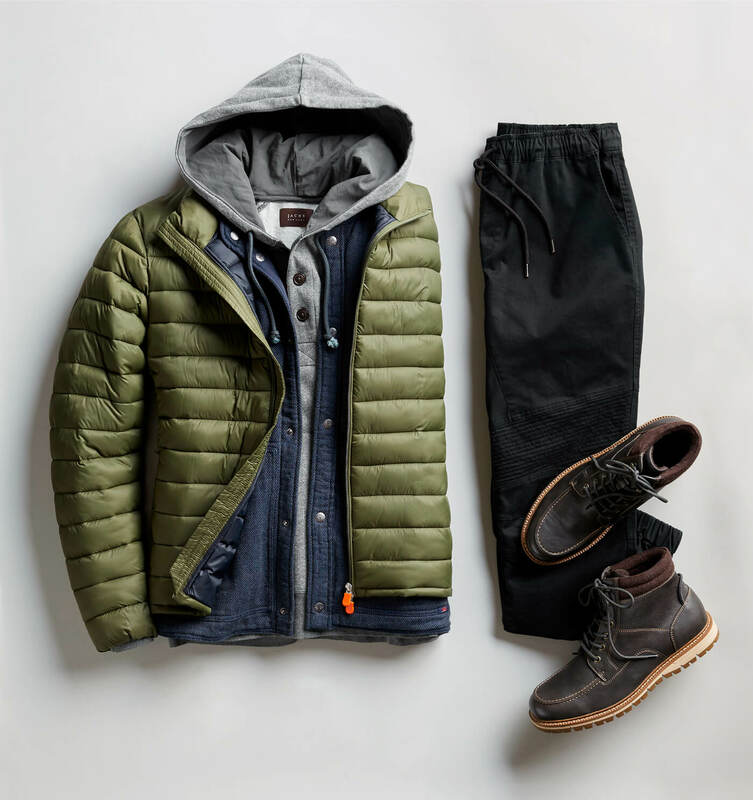 Layering is key—pile on your favorite staples and vary their colors and weights. Add hybrid sweatpants that hit the perfect length over a pair of mixed-media boots. You’ll block the crisp air and look like you know a thing or two about combining street style with everyday life. Hit up all those RSVPs (or even work days) in a well-dressed outfit that doesn’t sacrifice style for warmth. Avoid looking too bulky by staggering the proper layers up top. It’s next to arctic out there, so a sharp jacket will get a lot of well-deserved air time. Don’t forget, length is a plus: longer outerwear, long-sleeves, a turtleneck—now is when small details count. Black jeans should always be invited to the party, since they appear more dressy, and a pair of sleek, slip-on boots are the ideal plus one. 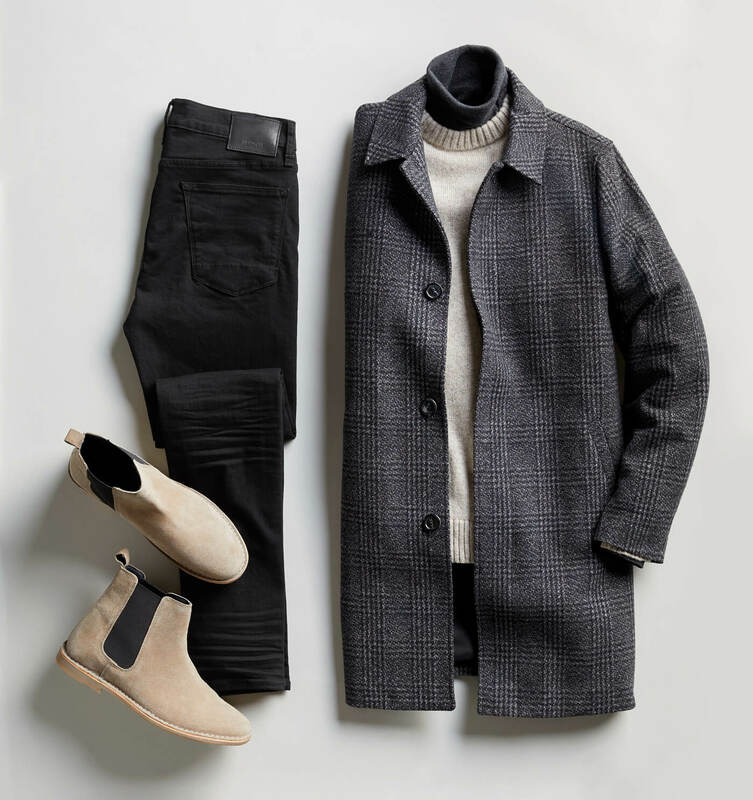 Now that you’ve seen a mix of cold-weather looks that can easily fit into your week, loop in your Stylist on which pieces you need to fill those empty spots in your closet.